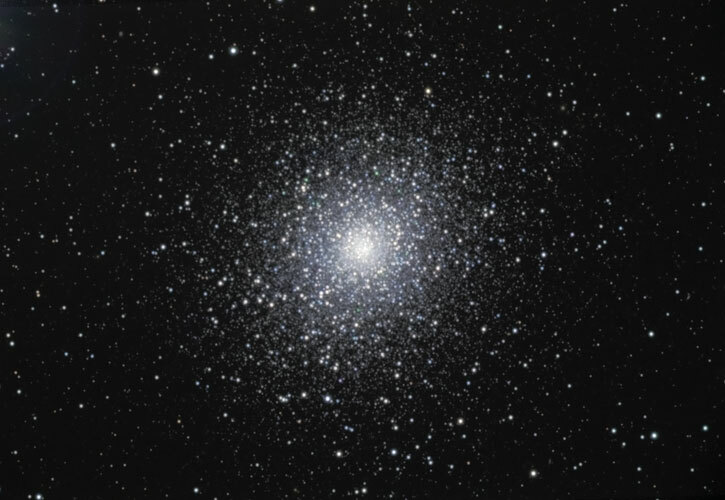 M5 is located at a distance of 24,500 light-years, and is one of the larger globular clusters in our galaxy with a diameter of about 165 light-years. Technical Notes: Individual exposures were sigma combined. The RGB image was created in Registar 1.0. Smart Sharpen was applied to the luminance image. Noise reduction was applied to both the luminance and RGB images. A copy of the RGB image was combined with the original using Soft Light to enhance color.